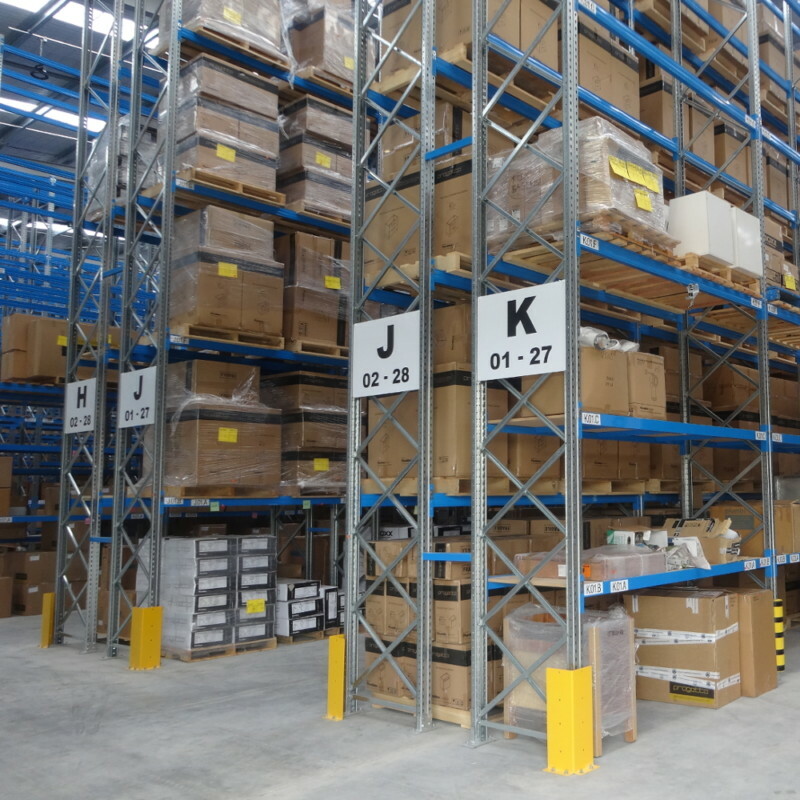 Shelving Shop Group is your choice for pallet racking. 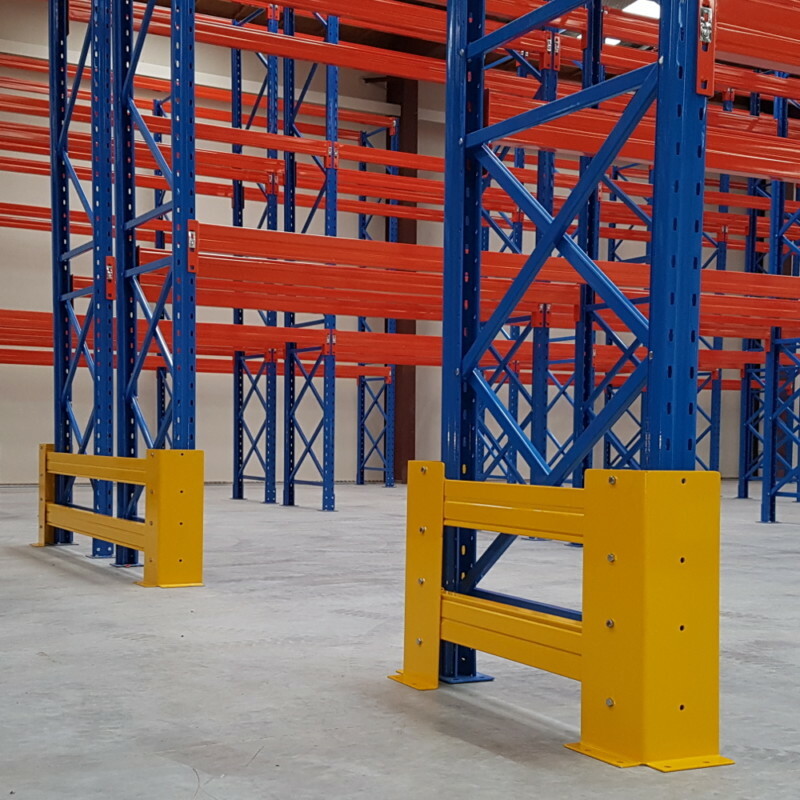 We offer a comprehensive range of heavy duty pallet racking, cantilever racking, work benches and accessories, all precisely engineered to meet the highest demands of the storage and transport industry. 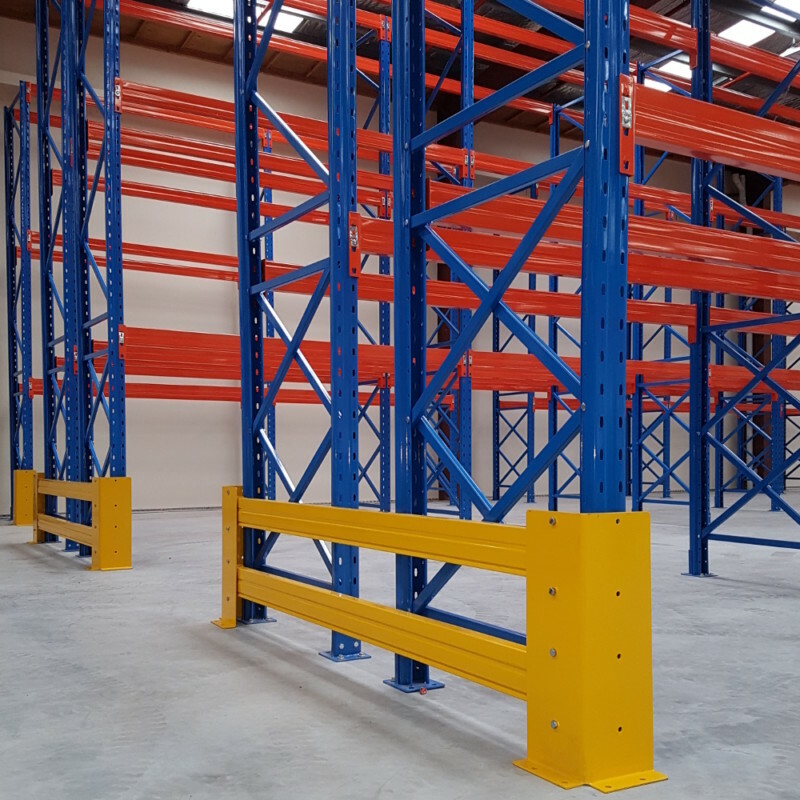 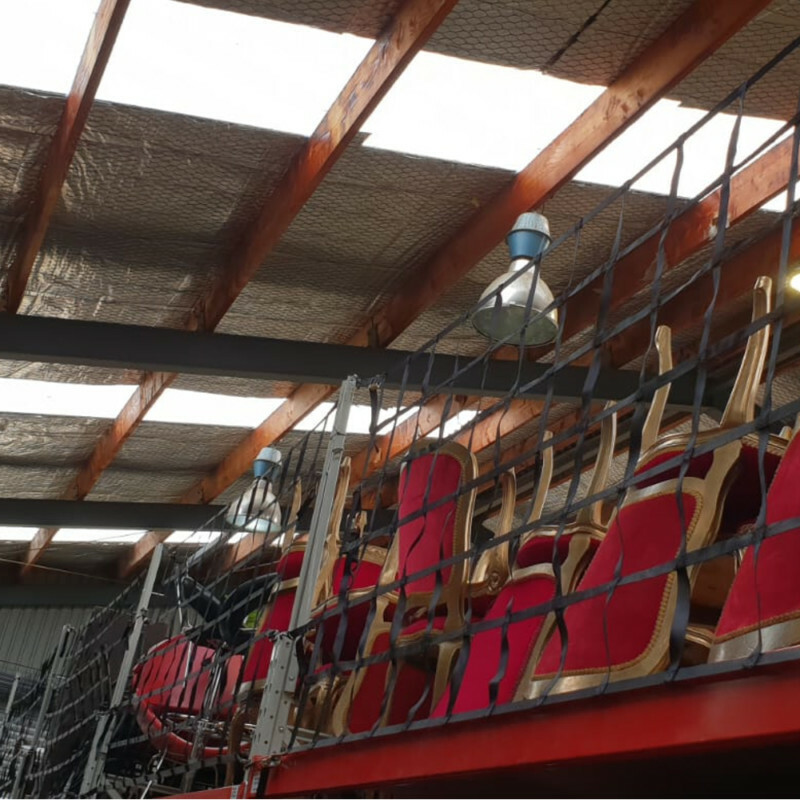 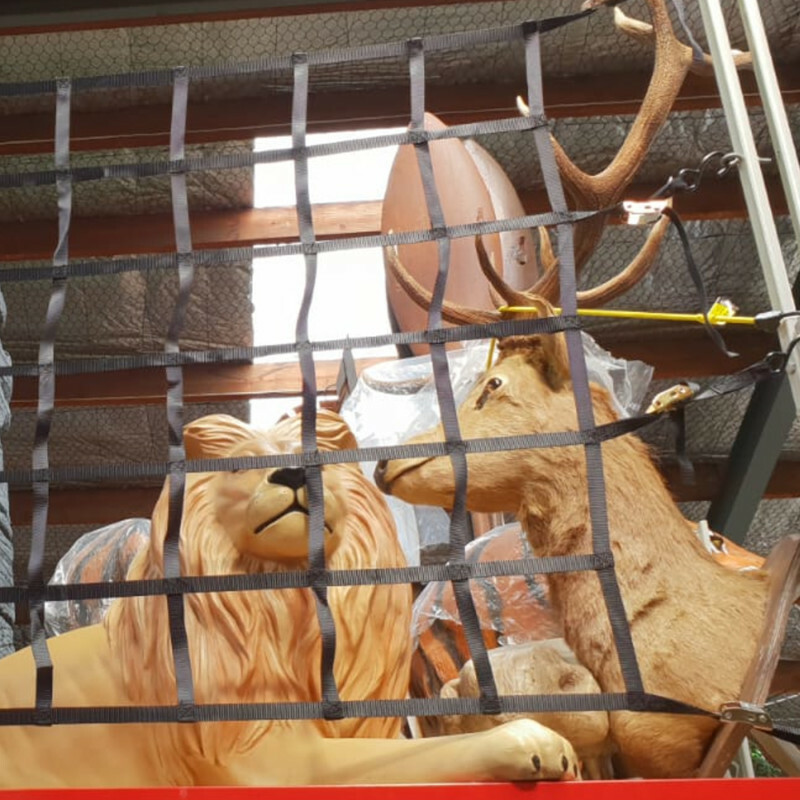 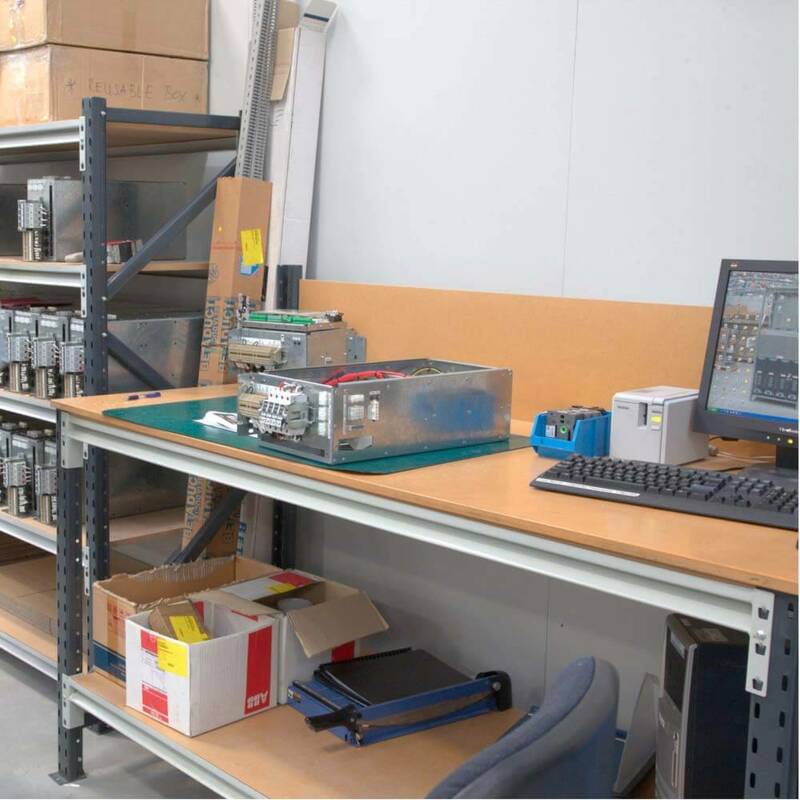 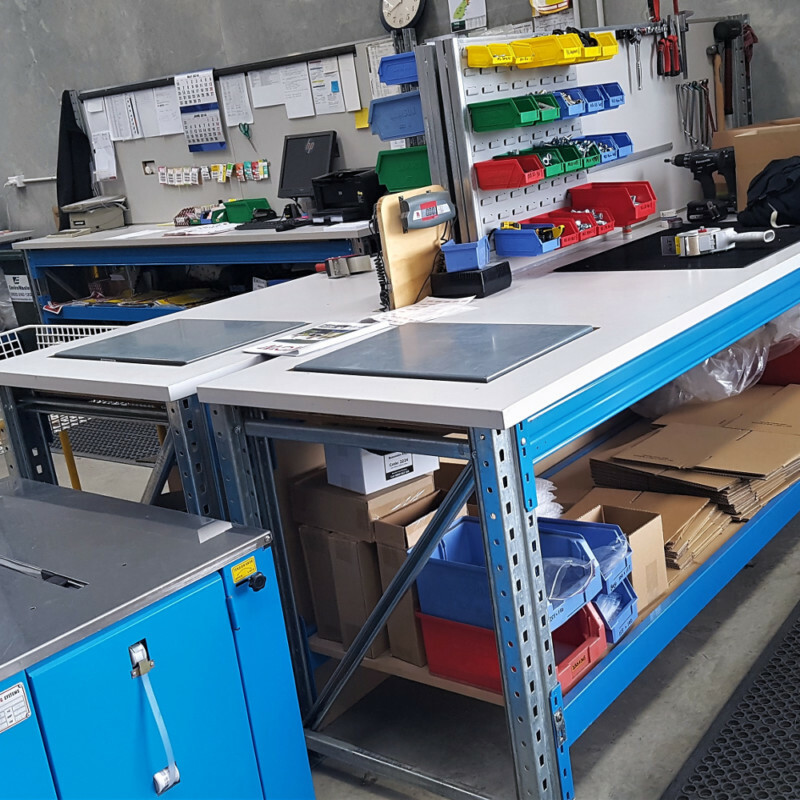 Each one of our pallet racking systems and accessories is designed to withstand the tough seismic conditions of New Zealand. 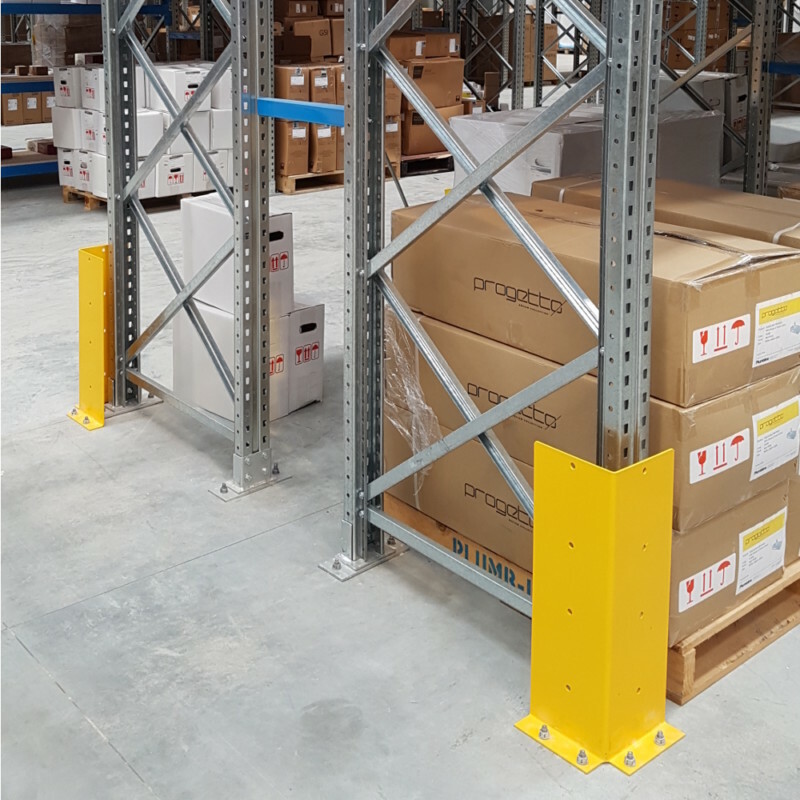 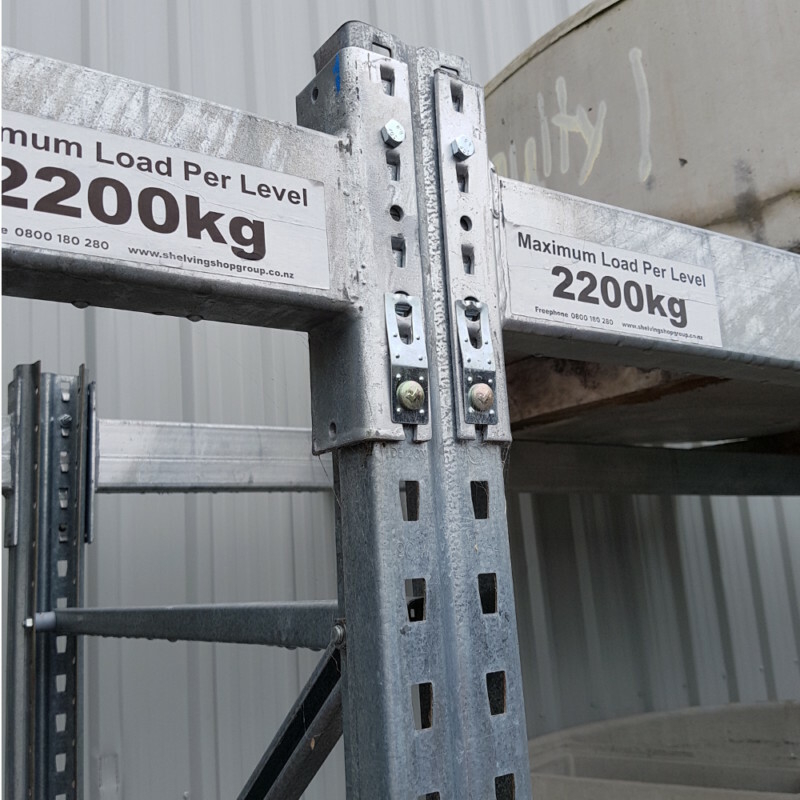 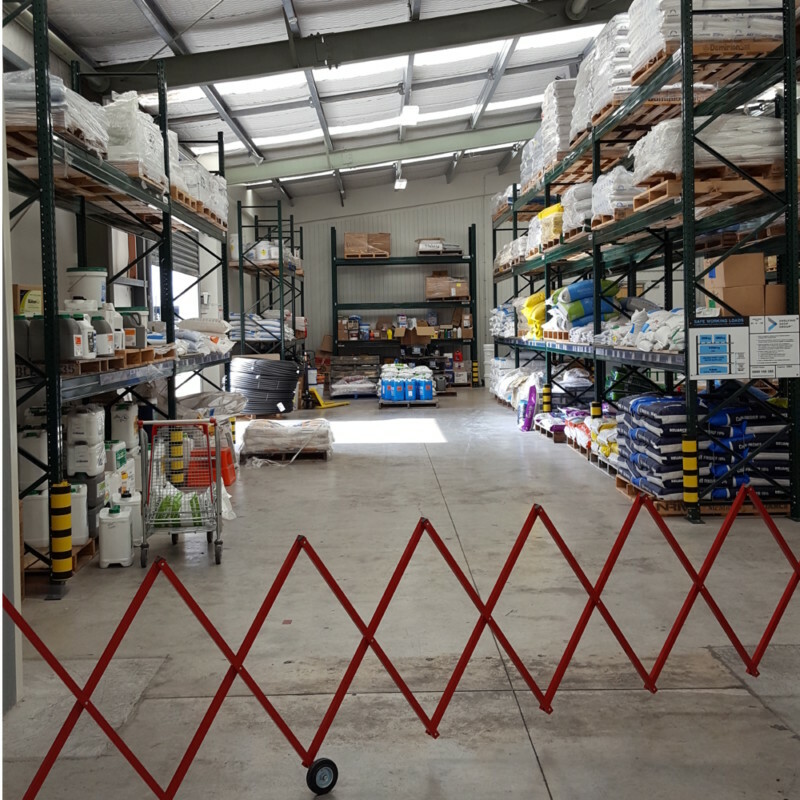 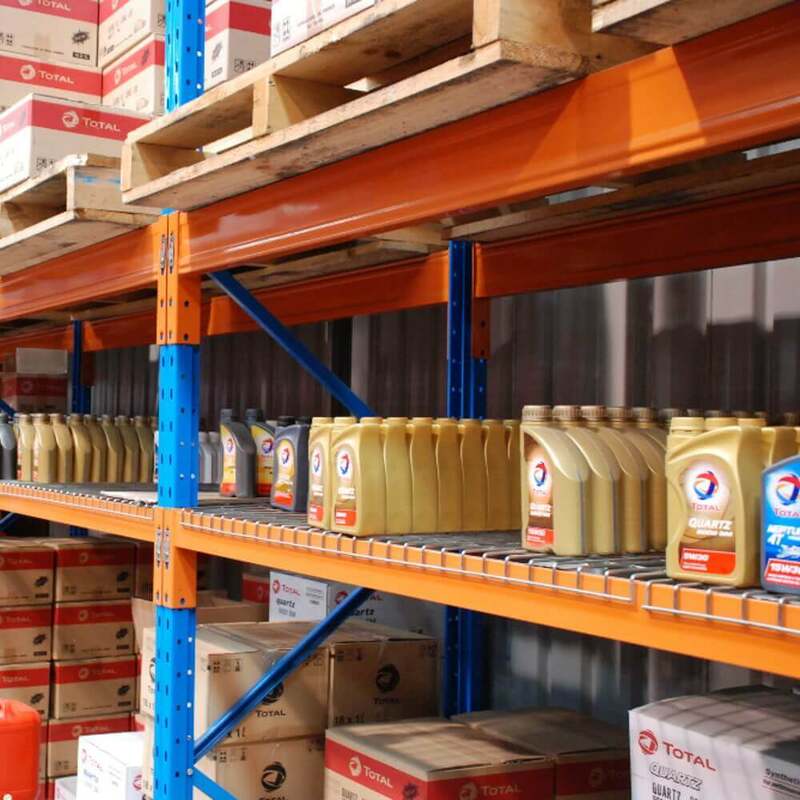 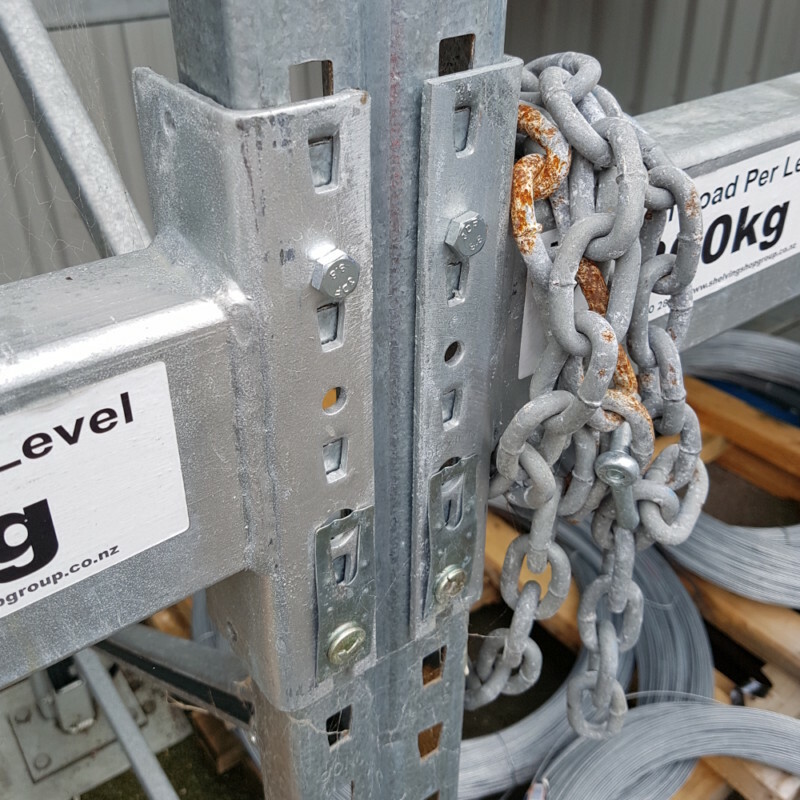 Our pallet racking systems comply with current industry standards and are individually engineered to minimise damage to your inventory in the event of an earthquake. 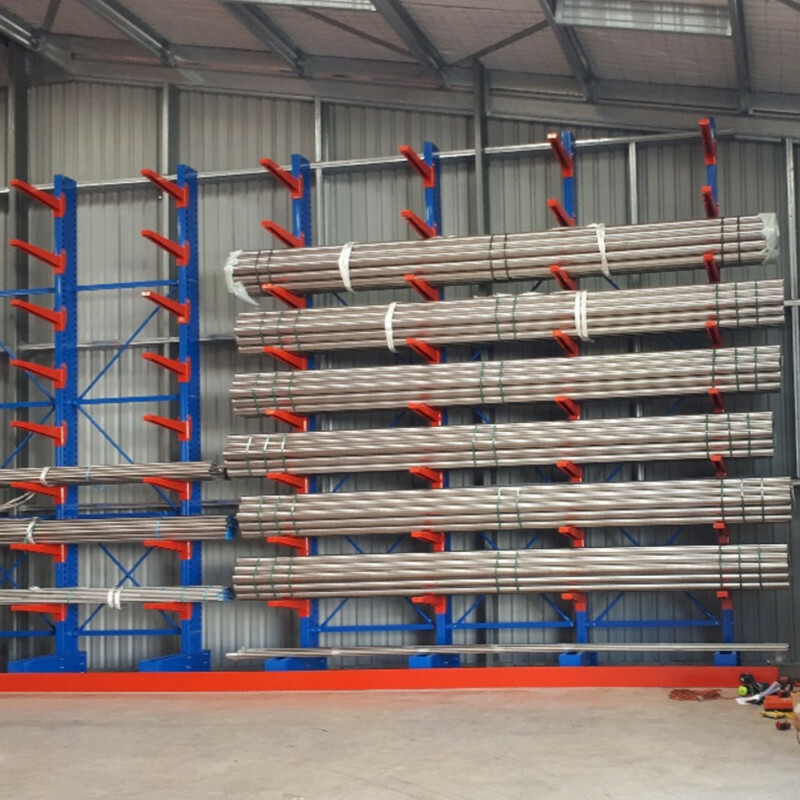 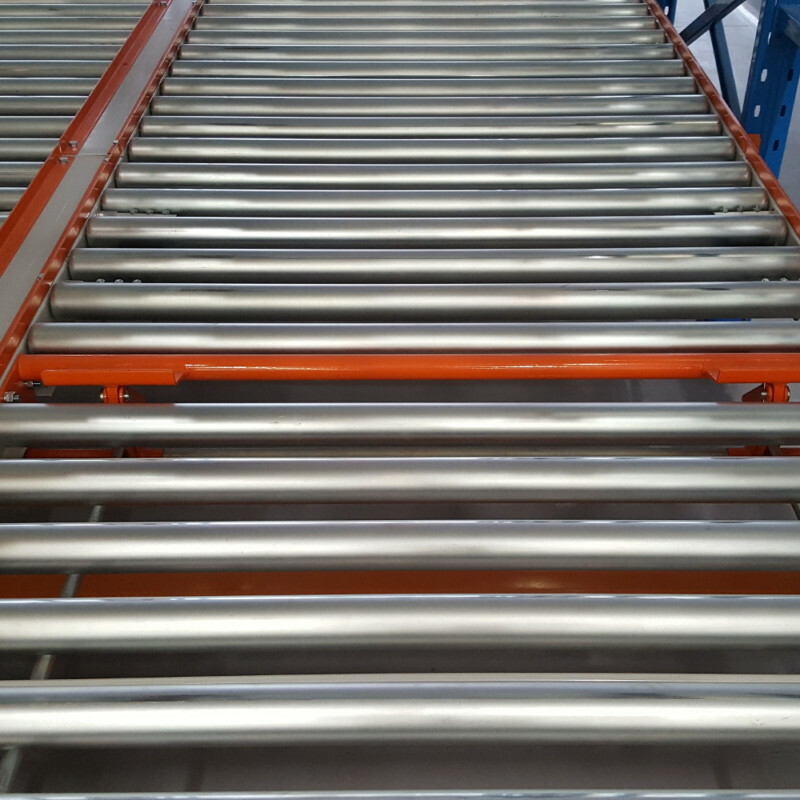 The prevention of the potential loss of assets makes our racking systems some of the most reliable in the country. 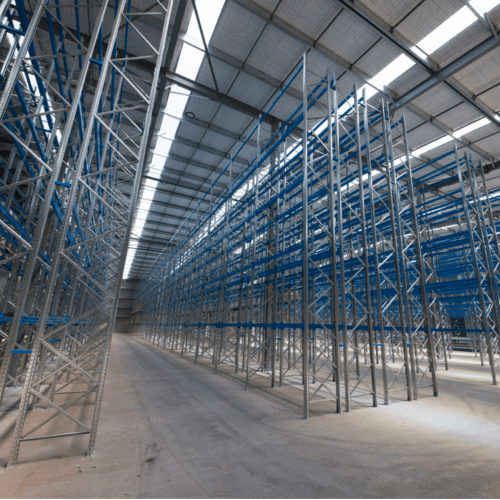 Our pallet racking meets the changing demands of warehousing industry. 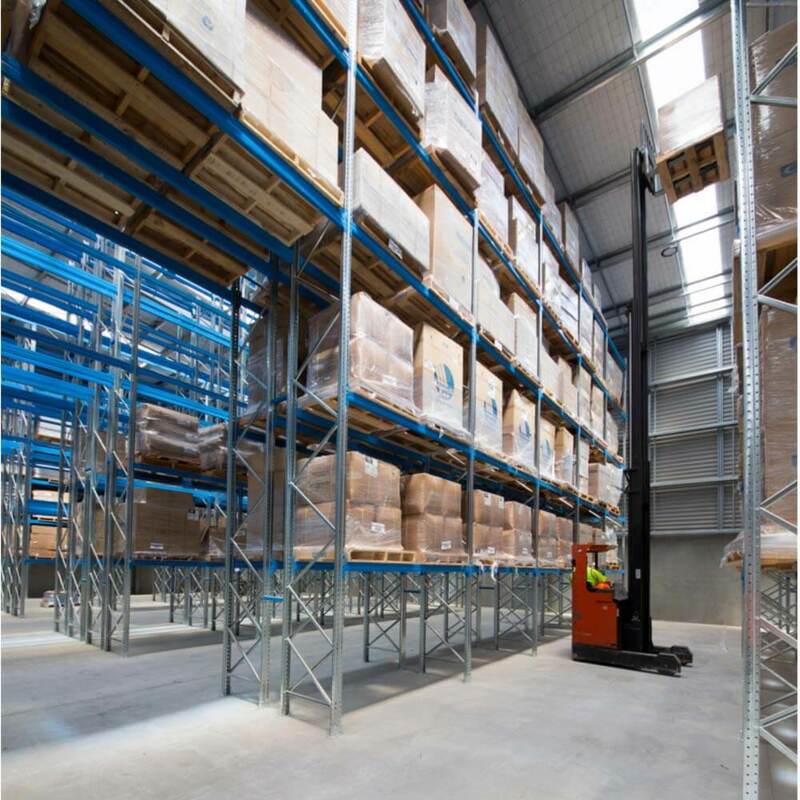 Our products maximise the space available, allowing for high volume storage. 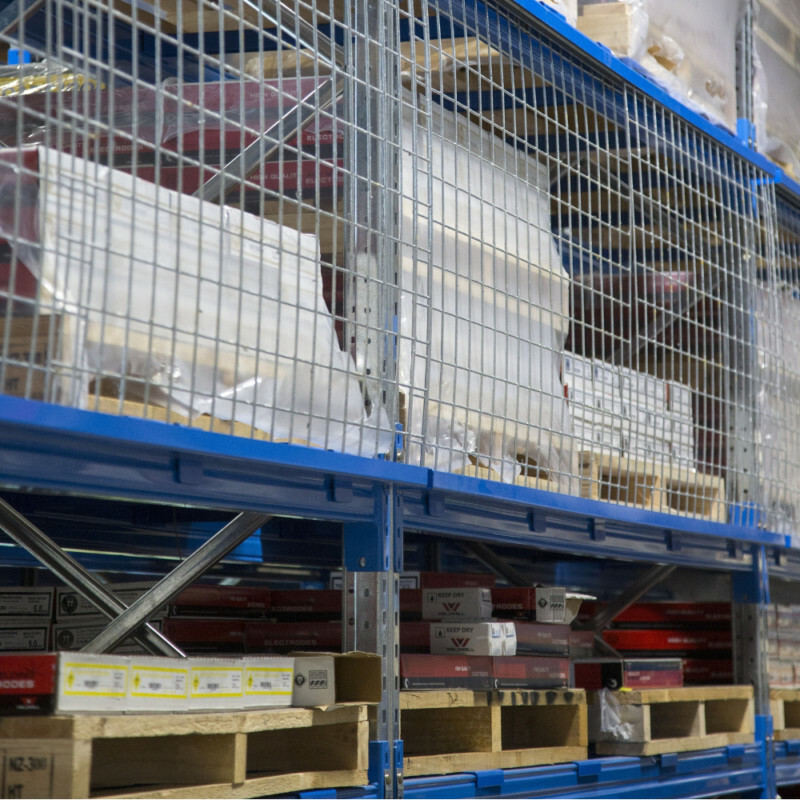 Our Dura Selective racking system, for example, has a high load capacity that allows you to store large volumes of pallets, while still giving you easy access to your goods. 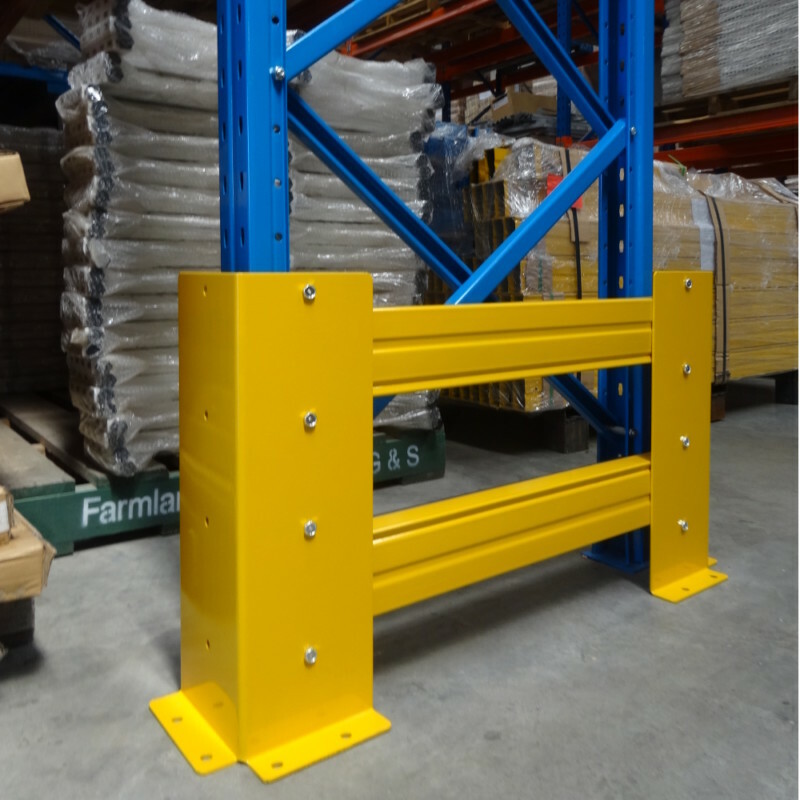 Our pallet racking systems are compatible with standard forklifts and can also be designed to suit your existing forklift. 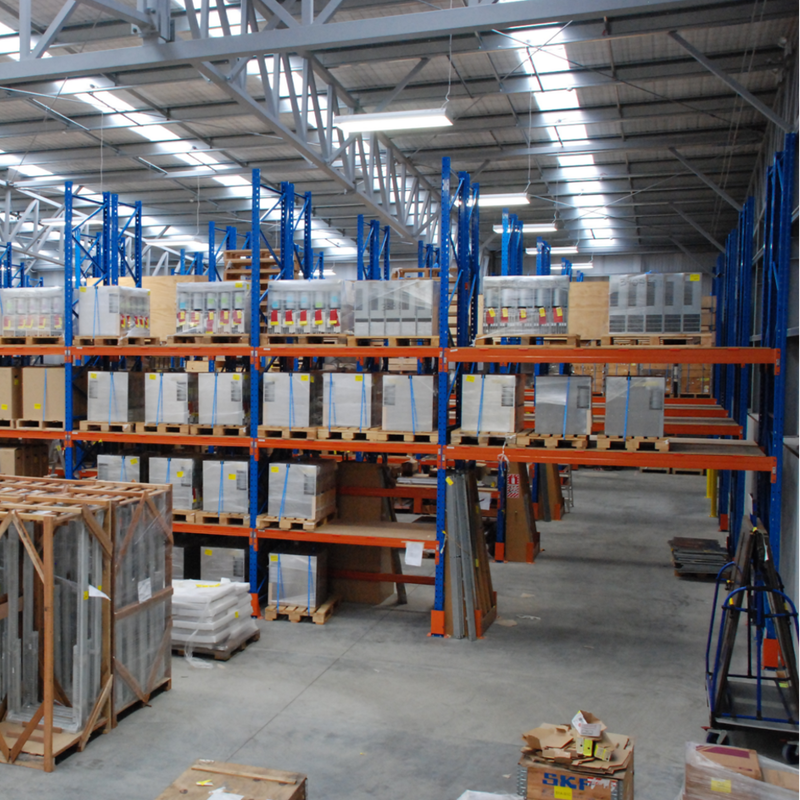 All of our racking pallet systems are easy to assemble and completely modular. 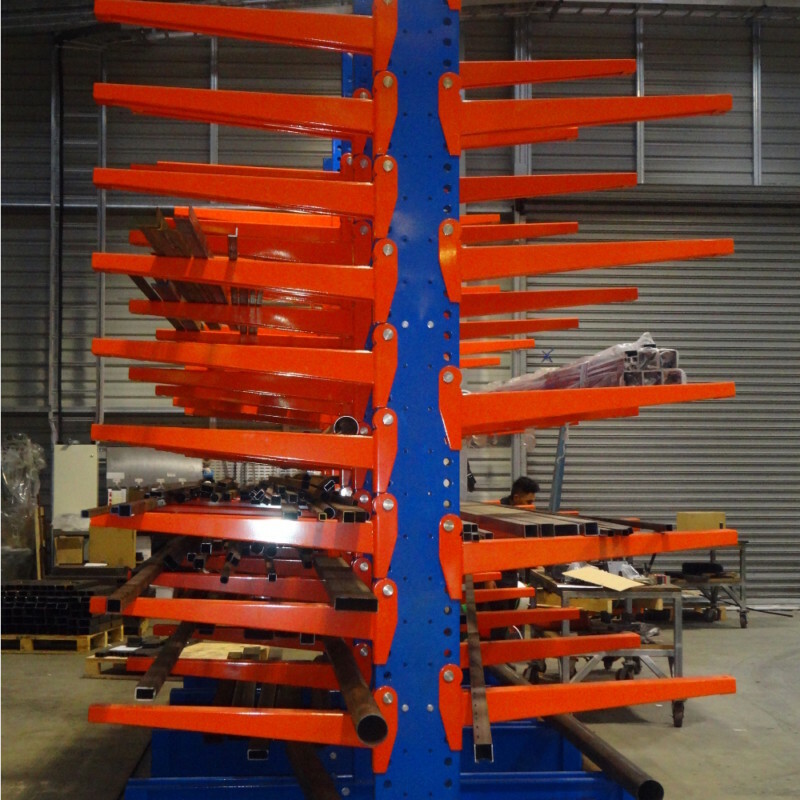 This makes them especially adaptable to changing layouts — making them easy to disassemble systems and bring them to your new facility if needed. 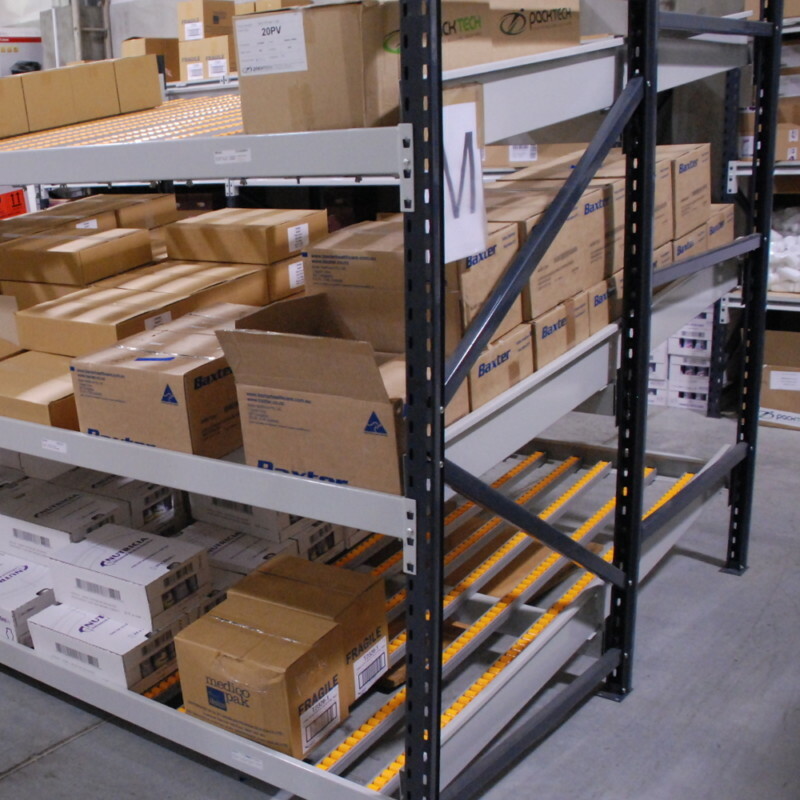 Shelving Shop Group only creates pallet racking that is both safe and efficient. 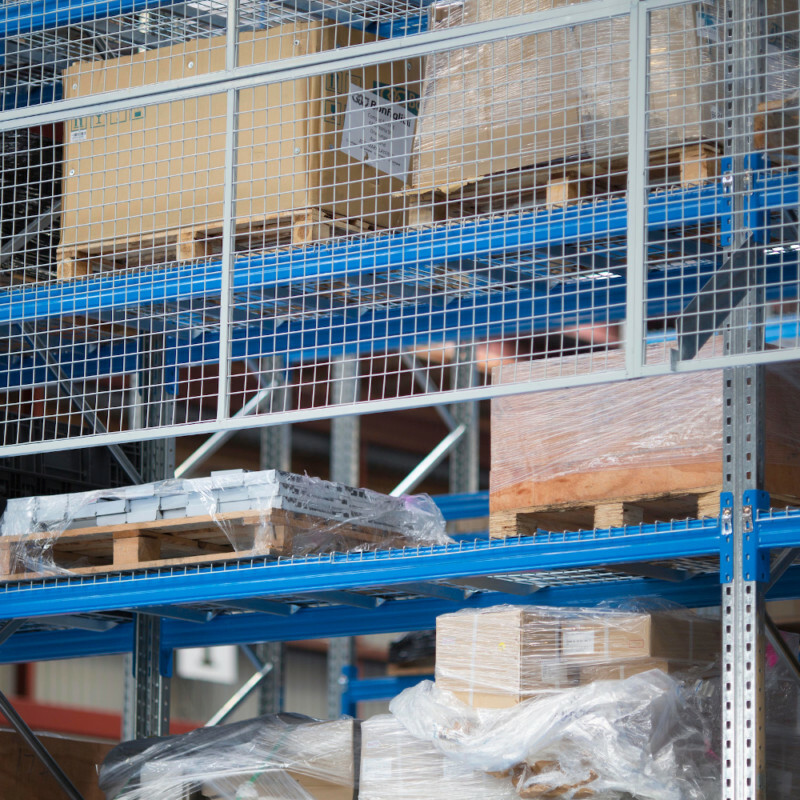 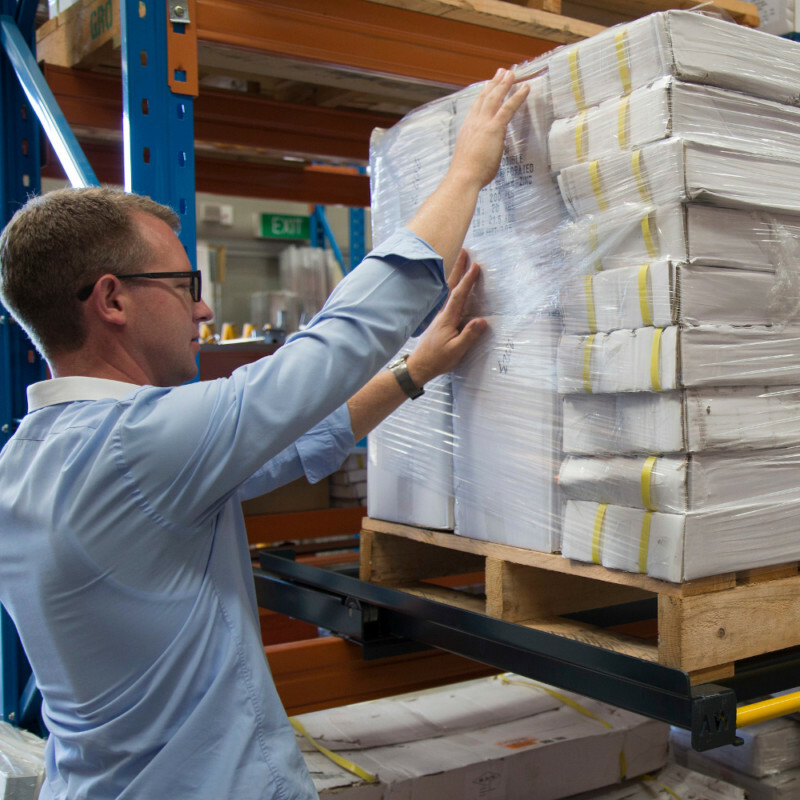 To further improve the safety of your pallet racking, we offer a comprehensive selection of accessories, including safety mesh, barriers and protectors. 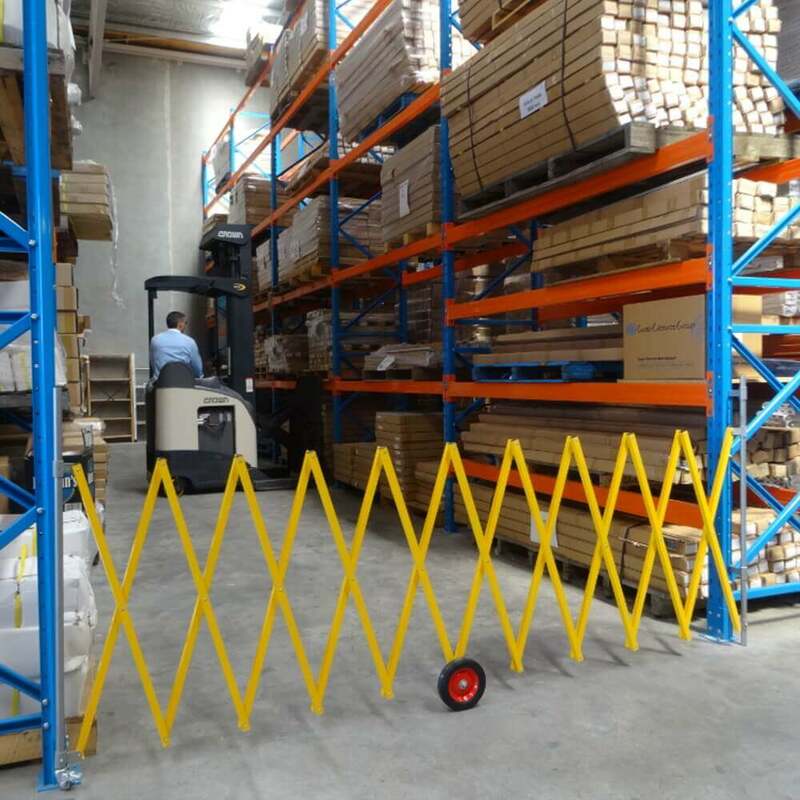 This creates a safe work environment for your staff and prevents damage to your inventory. 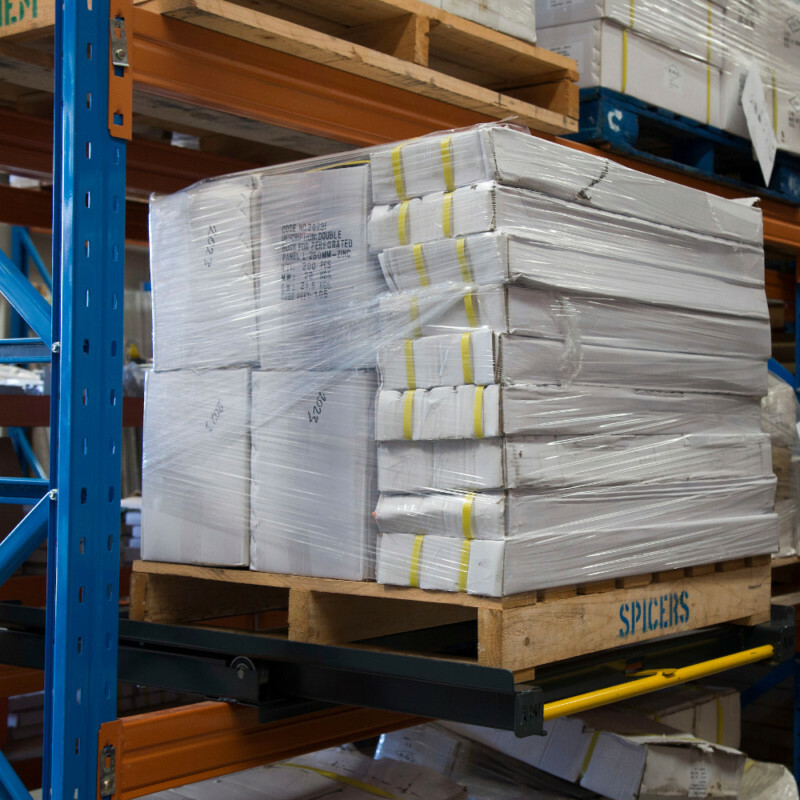 Learn more about our pallet racking systems today. 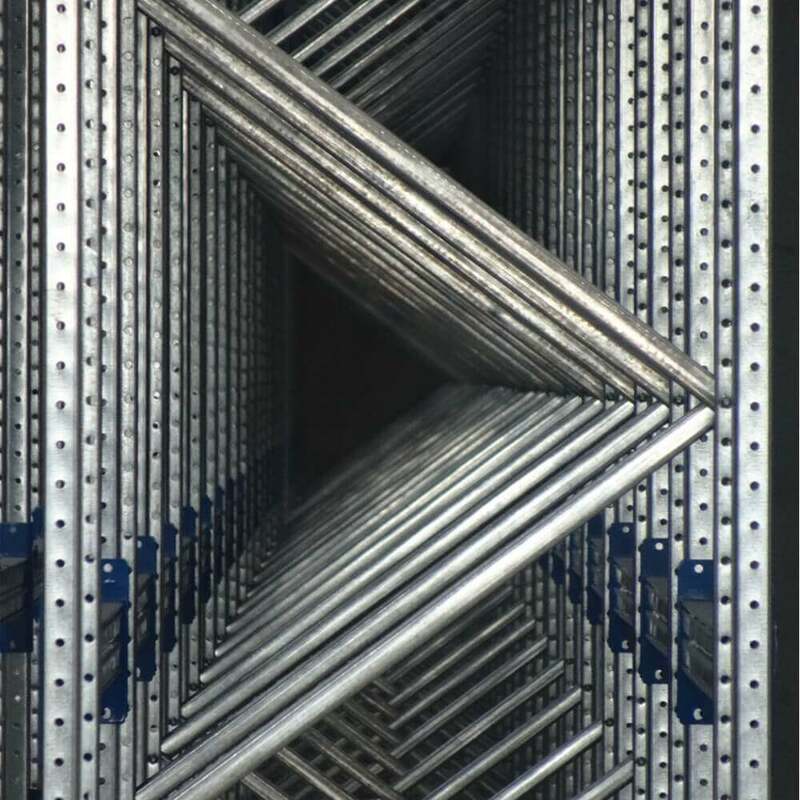 Contact the Shelving Shop Group.